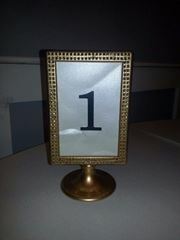 Gold bling frame / table number table number frame holder. Double-sided so you can print menu on reverse side. Can be used as reserved sign also.